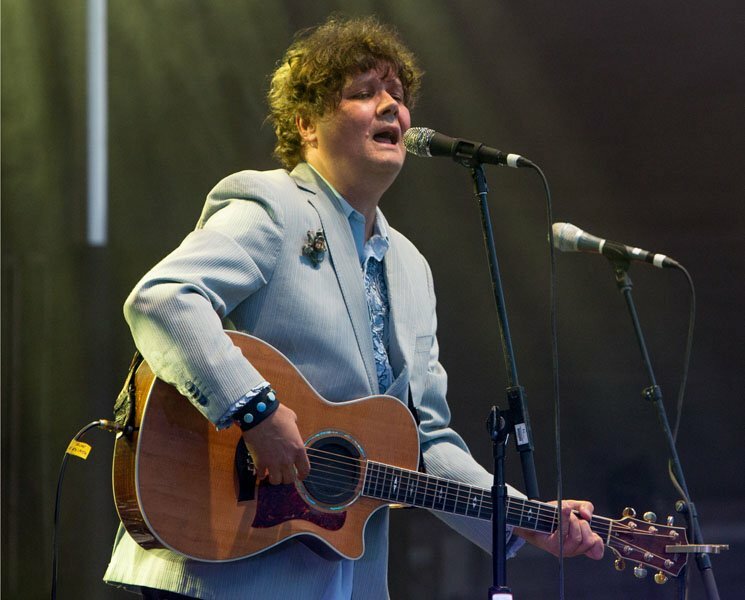 Forget his reputation as a dour man of sad-sack songs: Ron Sexsmith can really shred a guitar. An acoustic guitar, mind you. But as if recognizing that an early evening slot (ahead of Blue Rodeo) for a summer festival crowd required a few rock gestures, Sexsmith took a soloist's stance and let loose during "Breakfast Ethereal," one of a handful of songs early in his set from this year's The Last Rider. Those paying attention during Sexsmith's Halifax Jazz Festival performance got a crash course of sorts in his discography: a well-curated selection of the material that's made him such a beloved songwriter. Alongside new songs like "Evergreen" ("This song went to number two in the charts," said Sexsmith, "not here, though, but it Ireland"), the set offered up some of his best-known compositions, including some the audience might've known better in other versions ("Secret Heart," covered by Feist, or perhaps Michael Buble's take on "Whatever It Takes"). Sexsmith was fresh off a performance with the Toronto Symphony Orchestra on Canada Day, at which Halifax singer Rose Cousins was his opener. Now on Cousins' turf, Sexsmith invited her out for a slow, sweet take on "Gold in Them Hills," their voices melding wonderfully on its chorus. The subtlety of Sexsmith's writing is easier to pick up on the record than in a festival setting; despite noble efforts from his band, only the hookiest songs like "Not About to Lose" really broke through the din of a semi-interested crowd. But adorned in a stylish blue blazer and a ruffled shirt ripped right out of an '80s prom photo, Sexsmith and his earnest, engaging vocals hopefully won over a few eager hearts in the crowd.